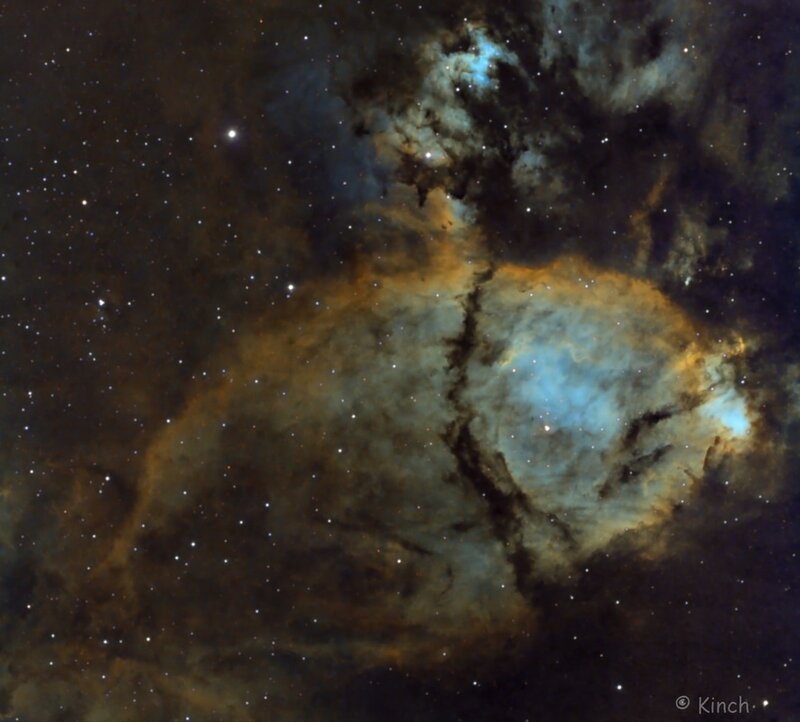 IC 1795 (sometimes known as The Fishhead Nebula) is an emission nebula located in the constellation of Cassiopeia. 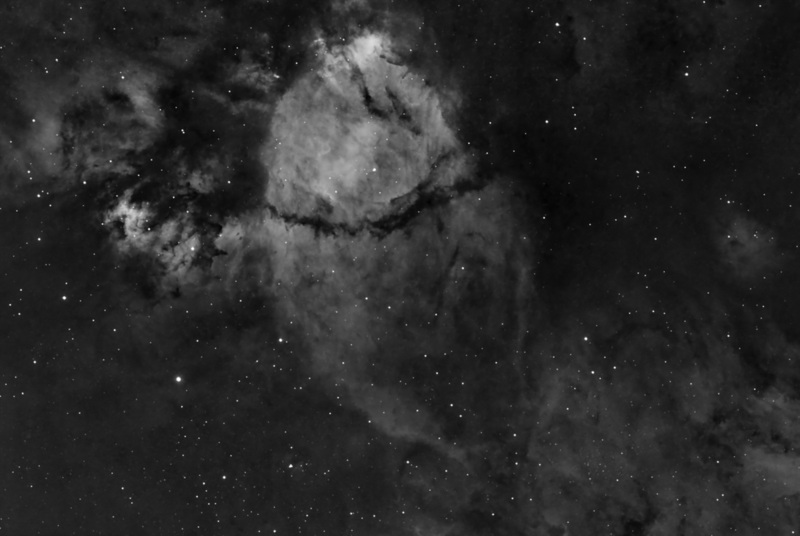 Close to the double cluster of Perseus and the Heart Nebula. 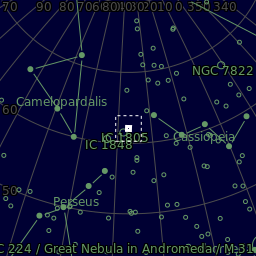 It is about 6000 light years from us, This image covers a field of about 70 light years across . 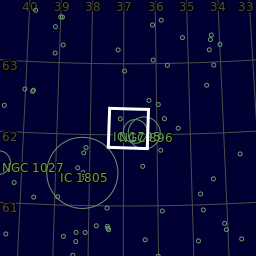 It is relatively easy to see in a small telescope and is located in a very rich environment with IC 1805 and IC 1848, as well as many open clusters. 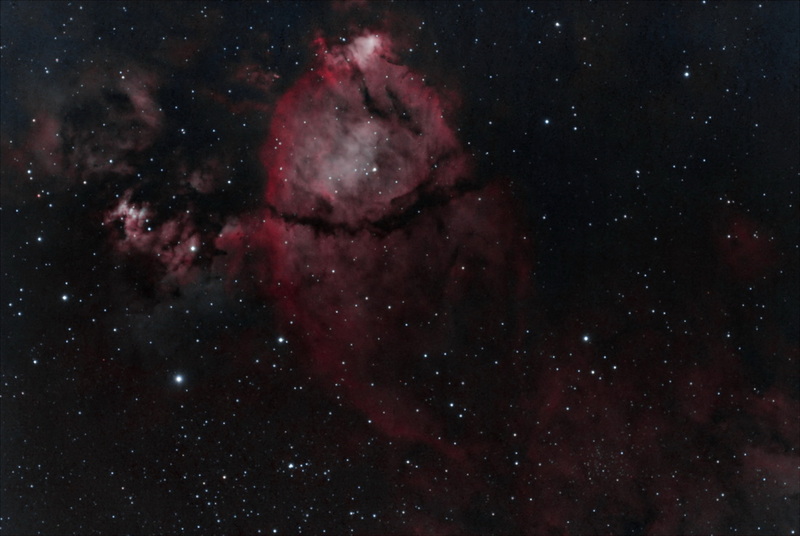 This image was taken using the 1.6x extender which gives an effective scope focal length of 848mm @ f/8. 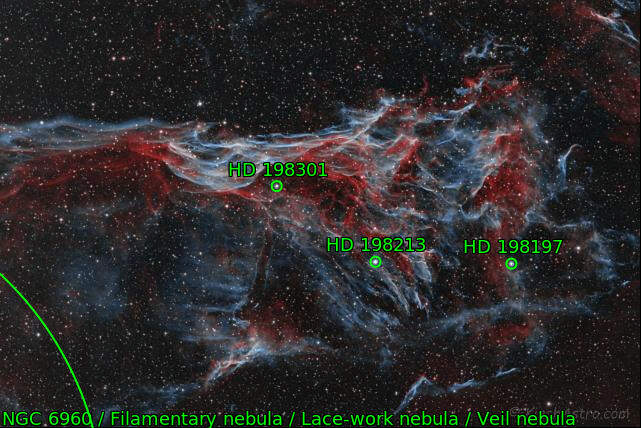 Center (Dec, dms):+62° 05' 23.010"
The below image is still the NB data but mixed to bring it closer to RGB (visual) colours - the strong Ha showing up as red.